I have real mixed feelings about this book. Where do I start? Ok, let's look at the positives. At the heart of DEAD(ish) is a great idea. It's quirky and it's different and it's quite original. I wasn't 100% convinced of the narrative twist where the ghost of Linda finds out what happened to her body, but I was convinced enough. It just about worked in an offbeat, Chuck Palahniuk kind of way. And it's fair to say that Naomi Kramer can write. She has a great style which flows well and has an edge to it. No typos, no awkward turns of phrase. Technically speaking it's written very well. Going back to Chuck Palahniuk (who Naomi Kramer reminds me of in some ways) - his novel Fight Club initially started out as a short story. DEAD(ish) reads as I would imagine that short story did: ie. really interesting, but in need of fleshing out. If Kramer had let some of the narrative ideas develop a bit more on the page, lengthened them out a bit, and if she had explored the characters a bit more, let their stream of consciousness build, this could have been really really good. As it is, I think it's just ok. I didn't waste the forty minutes it took me to read, but I came away a bit frustrated that it didn't match its potential. 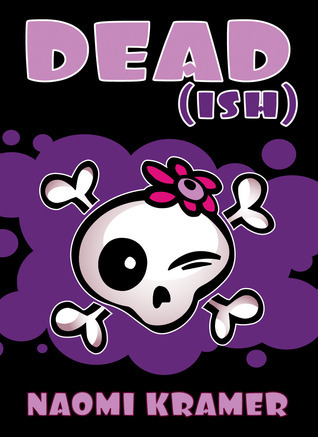 Sign into Goodreads to see if any of your friends have read DEAD[ish].